In this quick tip, weâ€™ll be installing a local instance of Drupal 8, beta 1. By the end, youâ€™ll have a copy of Drupal thatâ€™s not only ready to be extended with Symfony bundles and other packages, but also ready to accept content and display it to end users. In order for everyone to have the same starting point, weâ€™ll be using our trusty old Homestead Improved vagrant box. Itâ€™s important to note that even if this tip will be installing Drupal 8 into the Vagrant box, the procedure is absolutely identical for any Ubuntu based environment. If youâ€™re using a VM, log into it and enter the folder where you keep your projects. In the case of the Homestead Improved installation above, thatâ€™ll be /home/vagrant/Code. If youâ€™re using your own LAMP stack or whatever, just go into your projects folder. 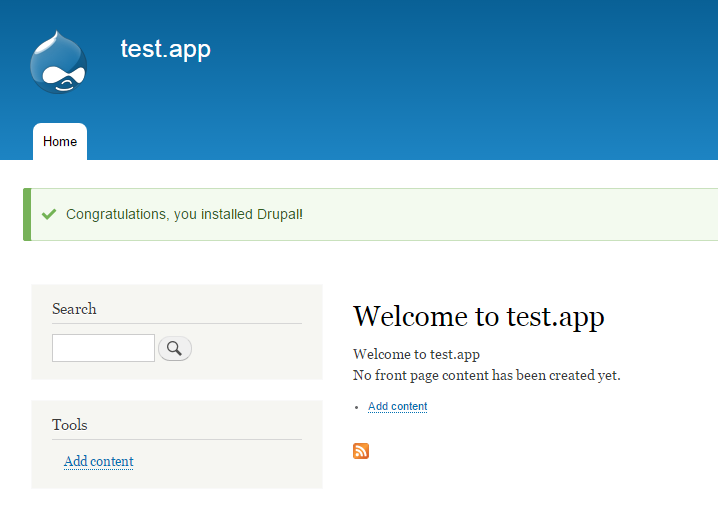 When downloading finishes, extract the archive and rename the resulting folder to drupal. In this case weâ€™ll be using MySQL. Weâ€™ll also be using Homestead-specific user/pass defaults. If youâ€™ve got your own environment, adapt as needed. For PostgreSQL see here. In this step, we create a settings and services file from the provided templates, and let the Drupal installer edit them by altering permissions. In your hostâ€™s browser, enter the URL test.app:8000/install.php and follow the instructions of the wizard. Choose a standard installation profile for the quickest setup. You can find out more about these profiles here, if interested. As you can see, adding a new Drupal installation onto your server can be done in minutes from total zero to fully functional CMS. For more information on other aspects and edge cases of Drupal installation, see their installation guide.